Bad Axe Throwing is coming to Indianapolis! 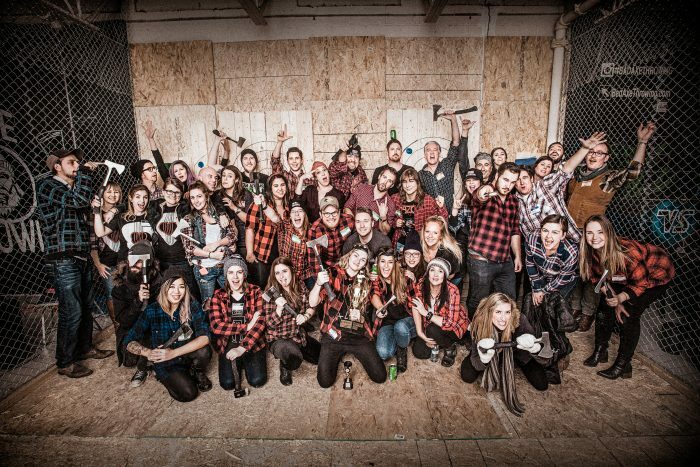 For those who don’t know who we are, we’re the largest competitive axe throwing club in the world! How to throw an axe: technique, form, distance, how to hold the axe and more. 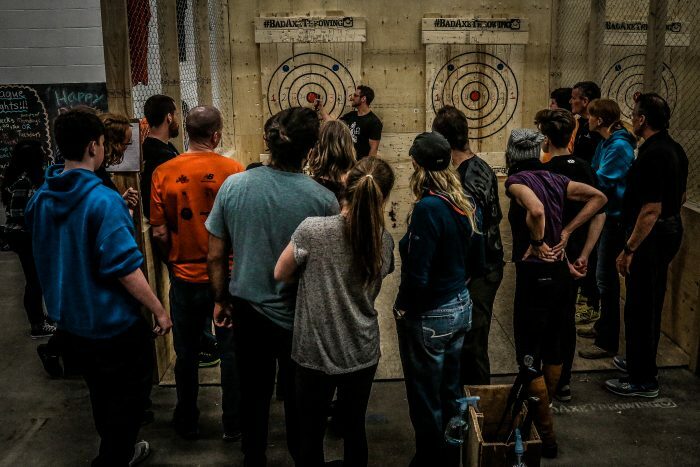 Bad Axe Throwing is the founder of The World Axe Throwing League (WATL) which consists of 16 members in 3 countries in 24 cities. The Bad Axe Throwing location in Indianapolis will become a member of the World Axe Throwing League when the season kicks off. We host competitive leagues and private events for people in Indianapolis, looking to have a great time while trying something new. Our company is social by nature where people are forced out of their shell and encouraged to try something new while learning a new skill. It’s perfect for corporate and team building events when we conduct team based tournaments and challenges that encourage people to work with one another while introducing fun and excitement. We’ll be officially open for business on June 2nd, 2017 – the weekend right after the Indy 500 – where there will be an open house. We kindly ask everyone to RSVP on the Facebook event page so we can get an idea of how many people to expect (we may need to extend the open house date to accommodate everyone). You’re encouraged to bring friends and family along with you to the open house. Our open house is a FREE EVENT! We’ll teach you to throw axes so you can experience the excitement and fun of urban axe throwing. During the open house, our coaches will teach you how to throw an axe while signing people up for our exclusive league play while explaining the benefits of joining WATL (World Axe Throwing League). We look forward to seeing everyone out at the open house! If you’d like more information on pricing or had any other questions, please visit the Bad Axe Throwing FAQ page. We are currently taking bookings in Indianapolis for anyone who would like to book an event after the June 2nd open house weekend. Also important to note: For a limited time, we will accept bookings with a minimum group size of 6 people in Indianapolis (normally, you need a minimum group size of 8 to book). If you have a smaller group, we will be hosting walk-in times which will be posted online.